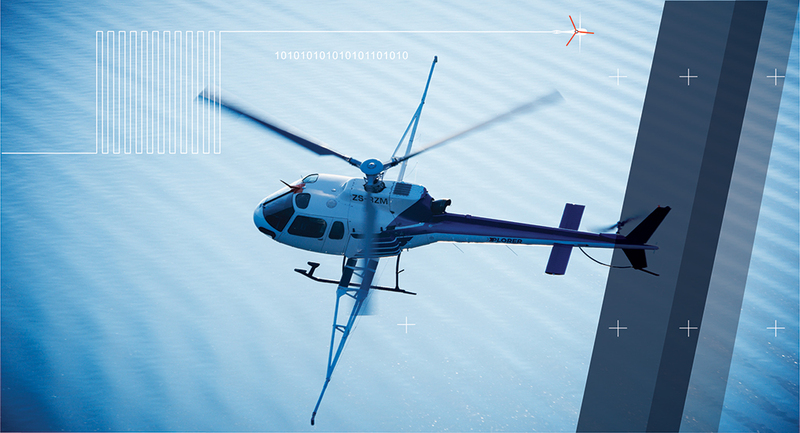 NRG makes use of Skyhorse Aviation™ as our exclusive aircraft operator for all surveys. Skyhorse is a South African established aircraft provider based at Wonderboom Airport near Pretoria. The company specialises in providing aircraft support and charter throughout Africa and are responsible for all aviation related aspects of NRG’s survey work. Skyhorse prides itself on safety, and have successfully completed the BARS Gold Status audit in 2017. Their dedicated and highly qualified team have flown over 35 000 hours with an excellent safety record. All the pilots are highly experienced in African conditions and field operations. The fleet consists of nine, new generation AS350 series helicopters, two Pilatus PC-6 fixed-wing aircraft and one Cessna F406 twin engine aircraft. All the aircraft are either owned or on permanent lease. Skyhorse has over 35 years of collective experience, supplying aircraft to the mining industry across more than 30 countries.